In an industry where murder is more commonplace than decent stories, innovation or fair representation of women, the Ace Attorney series was a breath of fresh air when it first arrived on the scene, charging players with bringing murderers to justice, rather than commit atrocities themselves. The series of visual novels saw young lawyer Phoenix Wright make sure that those who were falsely accused of murder were proven innocent, and in the process bring the real culprit to justice. Full of insanely clever cases, frequently hilarious dialogue and personality-filled cast members who made sure that no two stories were ever the same, the franchise saw more success when the series was ported from the Game Boy Advance to the Nintendo DS, translated, and released overseas. Even through the virtue of being a cult title, it’s fair to say that Phoenix Wright is the most popular lawyer ever, and the series has since seen a spin-off with part-time rival Miles Edgeworth, though the second Ace Attorney Investigations sadly never saw an English translation. Though it’s been several years since he last took the lead role, I found myself so excited for the return of the titular lawyer that I found myself dashing through the previous titles once more before heading out to E3 and falling in love all over again, shortly before getting some hands-on time with the long-awaited return of the series. 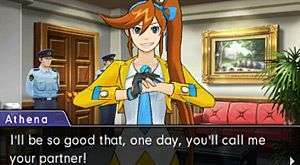 Dual Destinies takes place a year after the events of Apollo Justice: Ace Attorney, the last main entry in the franchise that itself took place seven years after Phoenix’s last lead role, and one that, while brilliantly written and great fun to play, drew some personal ire due to the large time jump, the lack of a proper goodbye or outright lack of acknowledge for previous characters and the seemingly massive change in personality for Phoenix himself. With his name finally cleared and a jury system now in place, Wright has finally made his way back into the world of law and has expanded his company to accommodate two new lawyers to the firm. The first of these is the aforementioned Apollo Justice, a man able to expertly perceive people’s tells in order to find flaws in their testimonies, and Athena Cykes, an analytical psychologist who employs a mood matrix to find conflicting emotions within witnesses’ statements. 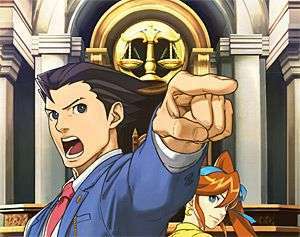 In the demo case and, indeed, the first case in the full version that releases later this year, Phoenix’s first case sees him defending a teenage girl who is falsely accused of bombing the courthouse during another trial, an incident that saw Apollo Justice receive the brunt of the blast when trying to save her. Standing outside the courtroom is a feeling that should feel wholly familiar to those acquainted with the series, but it’s also here that one of the biggest changes is made apparent, as the visuals are now rendered in 3D rather than the pixellated art style of previous titles. Items that appear in the court record are drawn instead of three-dimensional, but all of the visuals have been given a massive overhaul, and it can feel slightly odd seeing new takes on familiar sights. In particular it’s refreshing to see Phoenix back behind the bench, although it did take me until the end of the demo to adjust to seeing his new animations and look. On the other hand, I had no issues accustoming myself to the the new courtroom, as the new visual makeover has allowed for more dynamic camera angles, providing sweeping shots and perspectives that simply couldn’t have been possible in previous titles and, as such, it makes the ensuing action more exciting to watch. A particular highlight was the way that the camera panned as Phoenix finally landed his first “Objection!”, making it all the more satisfying to finally expose the holes in testimonies. 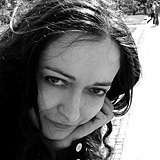 The raft of changes are more than skin-deep, with one particular and much-needed addition coming in the form of a chat log: at the bottom of the touch-screen, under the command to progress dialogue is the prompt to view previous dialogue, in case you errantly slip some vital piece of a conversation or need to recall something that’s been said earlier. Previous titles would leave you in the lurch if you accidentally skipped ahead, or if you weren’t paying full attention, so the ability to double-check what’s been said previously is a perfect addition to the series. The third major change is the addition of the Mood Matrix, Athena’s ability to decipher the emotions of others in order to point out inconsistencies, providing four different key emotions, with the specific ones being invoked lighting up during testimony. 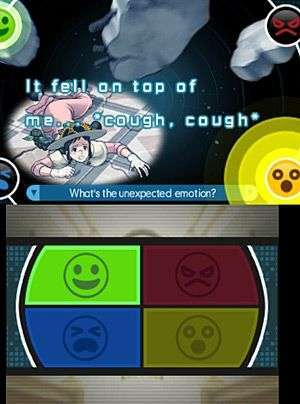 If there’s a discrepancy between what they’re saying and what they should be feeling, then you can press it further, and unlike the magatama or Apollo’s armband in previous titles seems to so far be used in order to elaborate on statements made, more so than to outright expose contradictions. In a series without full voice-acting, the Mood Matrix is an amazing compromise and I love its inclusion to the point where I can’t wait to see how the rest of the title utilises it. While the core mechanics are still present, it was also rather a pleasant surprise to see that the trademark humour was alive and well too, with both Phoenix and the judge getting some choice lines in during before the demo was bought to a close. It also seems like Wright himself has regressed more to his personality from the trilogy, rather than the Machiavellian manipulator that felt jarringly out of place during Apollo Justice. While it could be seen as moving backwards, I wasn’t the biggest fan of how they treated Wright when he wasn’t cast in the lead role, so I’m more than happy to see his emotions get the better of him from time to time. 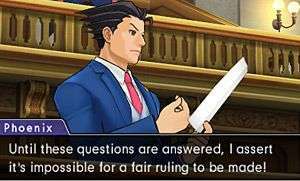 Though the demo felt over a bit too soon – especially as I wasn’t able to bring the real culprit to justice as the preview was more to ease players into the mechanics rather than provide a glimpse at what was to come – I’m ecstatic that Phoenix is back. With the final product also seeing the return of Edgeworth, Trucy and the fact that Apollo will be leading the defence in cases of his own, and it sounds like the most complete Ace Attorney yet. Releasing later this year, Dual Destinies will – with any luck - be everything Phoenix fans have hoped for and more. You must be bouncing off the walls now that Mr Wright is back ;D I’m more impatient for the release for YOU, more than anything, given that you enthuse about this every time we meet up It actually sounds pretty good and if I have any time left this century, I’ll be using it to finally crack open my copy of the original to see what all the fuss is about. I’m currently trying to mount a petition to get them to translate Investigations 2 and put it on the eShop as a way to hype the release of Dual Destinies. 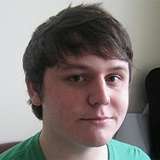 I am deadly serious. I need more of this. Wince as the rail flattens nads.